I had an opportunity to participate in CHRO meet last week, organized by Raise Global. 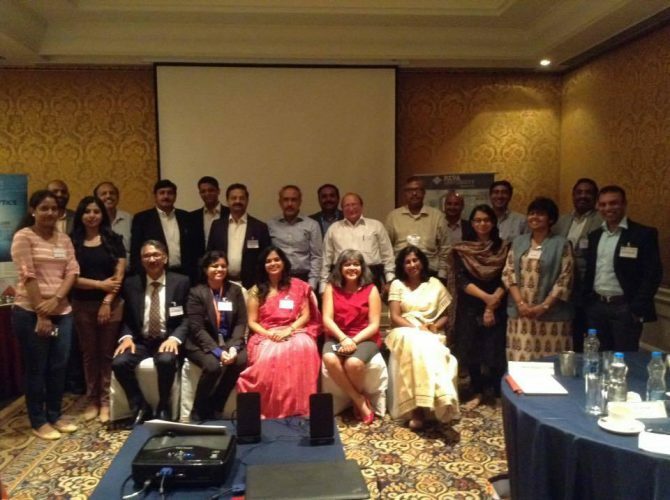 It was an event by invitation – a small group of 20+ CHROs from diverse industry to share, reflect and discuss on the topic of HR and Workforce analytics for a competitive advantage. The group included representations from Aviation, Retail, Academics, IT & Cloud, EduCom, Investor community, Hospital, Construction, Banking, Manufacturing, and consulting. A blue-collar job intensive manufacturing firm is using data insights to be prepared to tackle unexpected events such as strike – tell a connected story from workforce planning and productivity to drive the message to Employee Association to call off the strike and bring harmony. Few more dimensions were shared across the table. However, insight led compelling “story” came up as the key purpose that most of the CHROs intend to use Analytics for, to drive their people agenda to their c-suite peer group. – A tech company used people and actuarial data to drive the story of 48% higher group insurance take up at 10% reduced cope. – A department in Armed force is predicting individual success for next 25 years and developing learning path to success. There were more success stories and feeling of endless possibilities to use people data in conjunction with other functional data to tell the strategic story of people. Even if HR Analytics is hyped, I believe it is pushing organizations to start to adopt and witness an early outcome before they make big ticket investment in building this competency. – Is an aspiration to use analytics is sufficient enough criteria to drive this transformation? – Will an analytics-driven CHRO of India center be able to drive this change if s(he) doesn’t have access to front-line employee data due to organizational boundaries? – Are HR Generalists comfortable to use the language of the probability of an event/outcome than the percentage? – Am I telling the true story of my HR Analytics success to the world or is it just a showcase? – Does government consider any insights while bringing any change in employee related policy? – Do they think predicting the possible impact on employee morale or organization bottom line before implementing any change? Some of the example quoted were minimum bonus payout and change in retirement age etc. There is a strong need for collaboration and openness between private sector and government policy maker. We didn’t have any success stories to mention, but I see a possibility of another level of an outcome that can be driven by the eco-system through this collaboration and usage of HR Analytics. While conferences and Industry futurists have moved on to talk about future of work – Mobile, AI & RPAs, the ground reality is different. The challenges faced by each organization is different and could be wide-spread i.e. data, technology, leadership, bureaucracy, capability, emotional or political. Two hours of no-break debate on four key themes of HR Analytics – purpose, reality, cognitive, and collaboration, could establish an appreciation for the importance of HR Analytics and what benefit it could deliver in today’s context. The right balance of “Art” and “Science” is a more realistic approach to HR Analytics adoption. P.S. Congratulations to Reva University for launching Post Graduate Diploma in HR Analytics. I am sure this course will help early adopter fast forward their journey of HR 2.0. Additionally, Kudos to Raise Global team for bringing this elite group under one roof to connect, share and learn from each other.